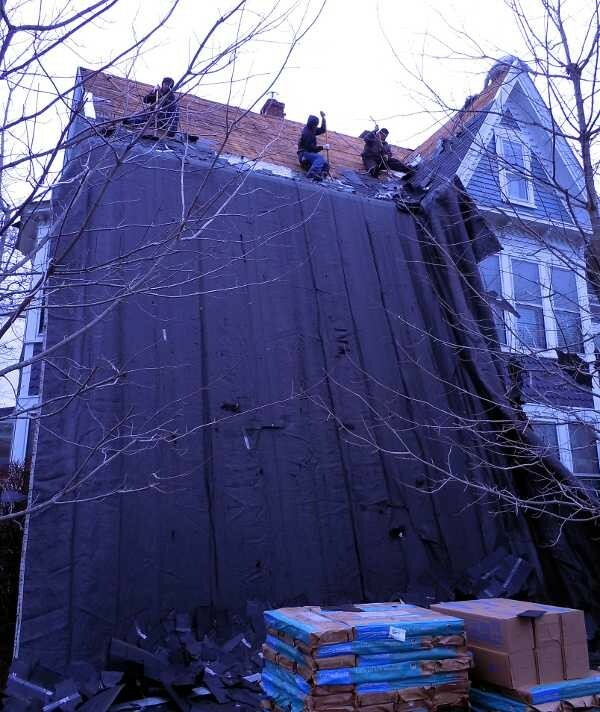 ’tis the season – for a new roof! The old roof comes off – near the guest entry. One thing we’ve always known we would need to do, but have been hoping would wait a bit, is to put a new roof on at Brewster House. In theory it shouldn’t be needed, but the hints have been coming for years. 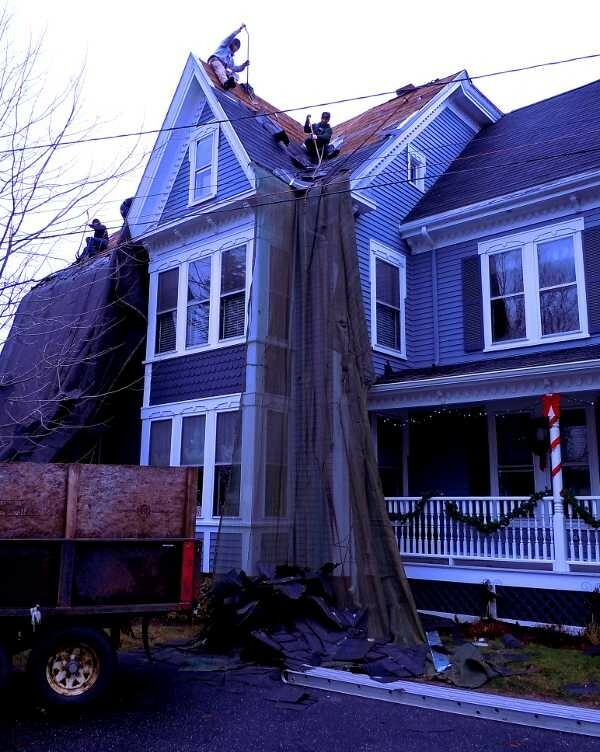 Every year in the wind storms and Nor’easters that are common in Maine we lose a few shingles. Most times we just have an annual repair and things are fine for another year. This year we lost quite a few more shingles than has been the norm, so we talked to the roofer about a replacement, and decided to go ahead with the project. He told us that one of the reasons we were losing so many shingles is that the old roof used a shingle that was too light to stay in place in the heavy winds. Sigh. 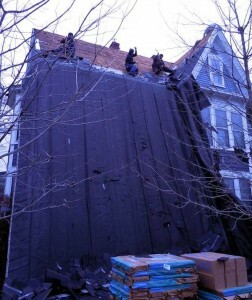 Thankfully, the new roof will be heavier, and should stay in place much better. 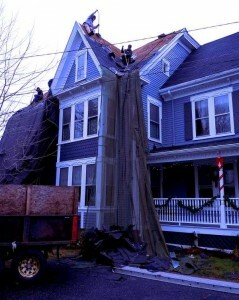 The men arrived early this morning and began stripping off the old shingles. They’ll be here for several days, repairing any wood that is needed, and sealing up the roof and putting on new shingles. We’re looking forward to a new, – heavier – and more attractive roof!